Former U.S. Senator, Secretary of State, and presidential candidate John Kerry visited Tufts as part of the Tisch College Distinguished Speaker Series and spoke about how young people's political engagement is vital to America's future. 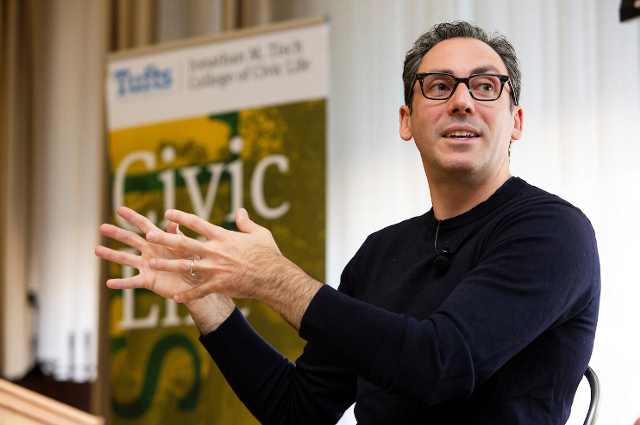 Warby Parker’s Neil Blumenthal comes back to Tufts to talk about entrepreneurship and doing the right thing. 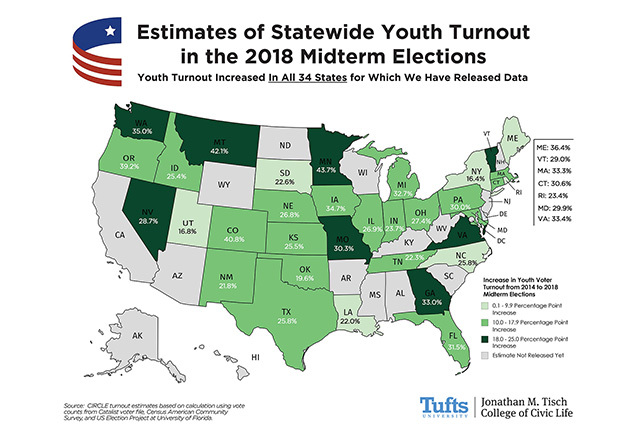 Youth turnout went up in all 34 states for which we have data, according to research from Tisch College's Center for Information and Research on Civic Learning & Engagement (CIRCLE). Bernard Fraga talks in a Tufts podcast about the complex causes of the election turnout gap between minority and white voters. The Hill reports on Tisch College research showing that, in every state, young voters participated at higher levels in the 2018 midterm elections. Rey Junco, of Tisch College’s CIRCLE, is quoted at length about youth political and civic engagement. 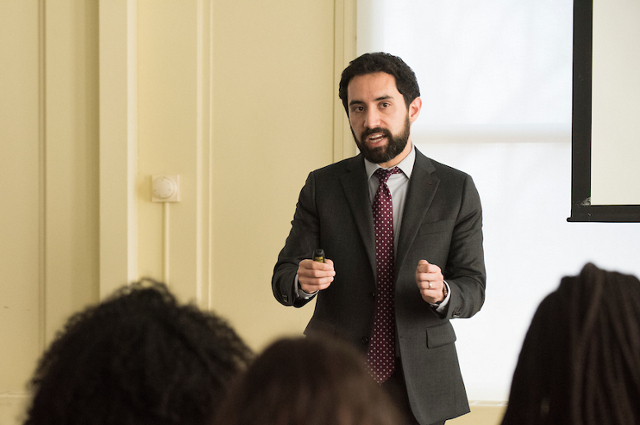 Kei Kawashima-Ginsberg, Dreictor of our Center for Information and Research on Civic Learning & Engagement (CIRCLE), shares Tisch College research that supports lowering the voting age. Visit our Events page for full details on upcoming events, links to RSVP, and more.